Despite preconceptions you may hold from D2: The Mighty Ducks, the people of Iceland are pretty nice and the country is a swell place to spend a vacation. Fortunately, you can frequently find cheap flights to the nation's capital, Reykjavik. That's the case right now. 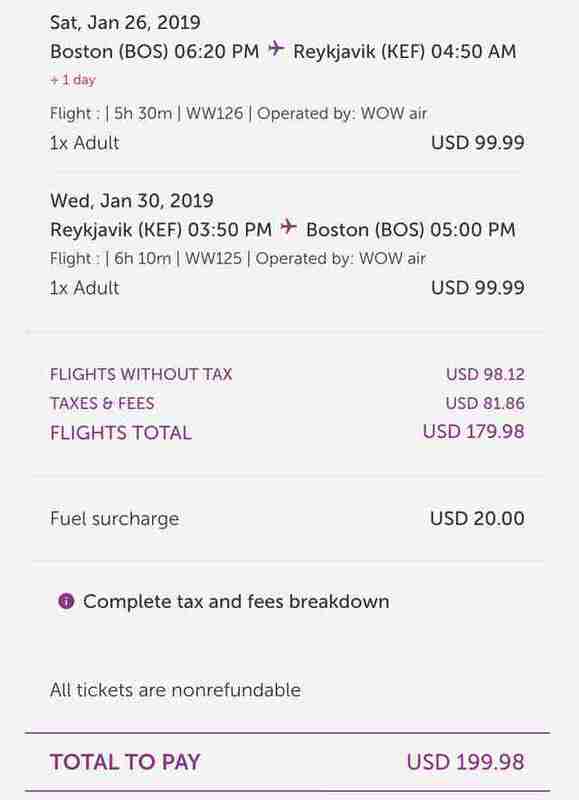 Low-cost carrier WOW Air has loads of one-way flights from the U.S. for just $99. The discounted prices are available for flights taken between January and May of this year. In all five months, you can find $99 flights out of Boston, Detroit, New York, and Washington D.C. There are also $99 flights available in January out of Chicago and Pittsburgh. Though the price will be a little higher, you can also find cheap flights out of Cleveland, Cincinnati, Dallas, Orlando, San Francisco, and St. Louis. There's no stated end date for the sale, so you may want to buy soon while there are still a variety of options at the $99 price. Cheap tickets tend to disappear rapidly, even if WOW does surface $99 flights with some frequency. Like with any budget airline, there are things to look out for. Prices through WOW can rise quickly, as the airline charges for baggage and to select your own seat. Though, it's definitely possible to pack light and have your seat assigned at the airport to keep the price low. Whether you're going in the offseason (right now) or waiting until the spring, there are a ton of great reasons to travel to Iceland, like the Dark Days Festival, natural hot springs, hot dogs, and the Ring Road. Get on it.